Austria is a peaceful and advanced country in Europe. This is the reason why students, workers, etc. seek to come to Austria. 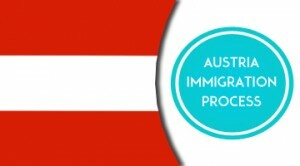 Austria Immigration is also possible under its Red-White-Red Card and its Red–White-Red Card Plus scheme which are on offer to third party workers and their dependents. The Red-White-Red card is a single card for working and living in Austria. An applicant seeking to work in Austria has to apply for a Red-White-Red card or a Red-White-Red card plus. The Austria Red-White-Red card is given for a duration of twelve months and it lets its possessor to a predetermined period of work employment by a specified employer. Only some select categories of persons are eligible to obtain a Red-White-Red card and these are workers who are highly skilled, skilled workers in occupations facing shortage, other important category of workers, those who have passed out of of Austrian universities and colleges of higher education and self-employed key workers. In the process of Austria Immigration, if the applicant applies for a Red-White-Red Card, the AMS (Austrian Public Employment) Service will evaluate the application and the relevant documents submitted according to certain criteria, and will award some points. This evaluation by the AMS is decisive for proceeding further. Thus, points are awarded for age, language skills, education, professional experience, etc. The points calculator of Austria Immigration is only a indicative service only for the applicant’s guidance. It does not replace an application and does not comprise the official evaluation that can only be undertaken by the Austrian authorities in the process of Austria Immigration. EEA and Swiss citizens also may stay in the country for a duration of more three months. This is so provided they work at a work place or are earning their own livelihood in Austria. They are also eligible if they are enrolled in and studying in an Austrian school or some other recognized educational institution and satisfy some other criteria. Certain types of family members of these nationals are also issued extended residency permit. Swiss nationals or EEA nationals who have or possess the ‘right to reside’ according to EU law will get the right to long-term residence after the completion of residing for 5 years lawfully on the Federal territory with no interruption or break. They can thus be issued a ‘Long-term Residence Certificate’.